There is no denying the fact that Lofoten Islands is every traveler’s dream destination. Even mere googling about Lofoten Islands will leave you allured to these magical islands which by the way is photographer’s paradise and will leave you spellbound with picture perfect fishermen’s village , tall mountains and alluring landscapes. 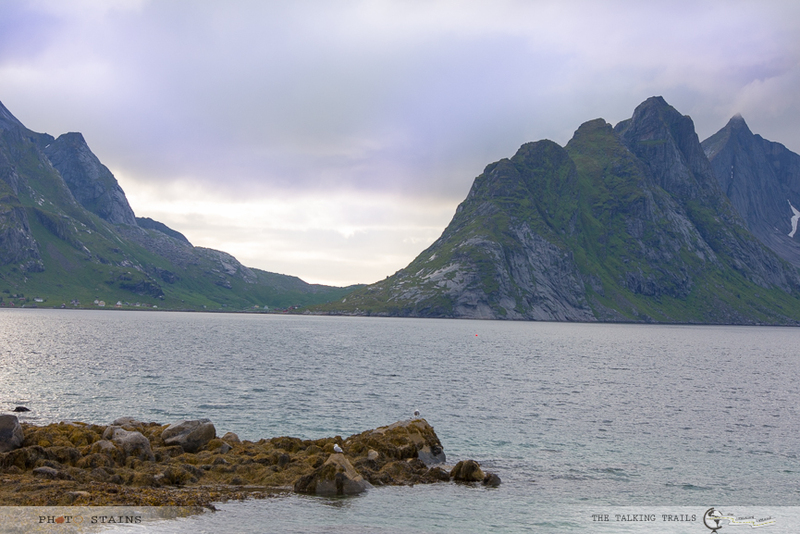 I had heard about it but had no idea how much planning is required for the trip to Lofoten , until this summer – when we took the plunge and set our next TheTalkingTrails destination as Lofoten. From how to reach to what all to see in 4 days , what to eat ( coz yes we are vegetarians ) and where to stay – yes it took me 2 months to plan. 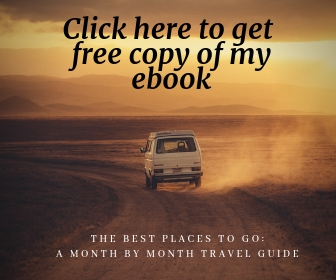 So if you are planning your trip to Lofoten anytime sooner ( and seeking some money saving tips), put on your virtual belt as I will take you through my journey in Lofoten islands – A complete travel guide. By Air : There are three airports that service this area Svolvaer , Narvik and Leknes. For all the three airports you will get flights from Oslo and depending on what suits your budget and choices for car rental , you can chose the airport. Narvik (EVE) is the only airport which has a direct flight from Oslo but you will end up driving a lot to reach to the archipelago. For both Svolvaer (SVJ) and Leknes (LKN), the flights from Oslo have the layover at Bodo and you will have to drive a little less to reach to Lofoten. Note: Before deciding on your flight choices it’s a good idea to do a quick comparison of the three airports for flights and rental cars. Car ferry from Bodo – Moskenes in my opinion is the best option. You can rent out the car in Bodo and hop on to this ferry which will take you to Moskenes. If you do not want to rent the car , you have option of passenger only ferry from Bodo – Svolvaer. You can find all the details on ferry routes , schedule and tickets here . 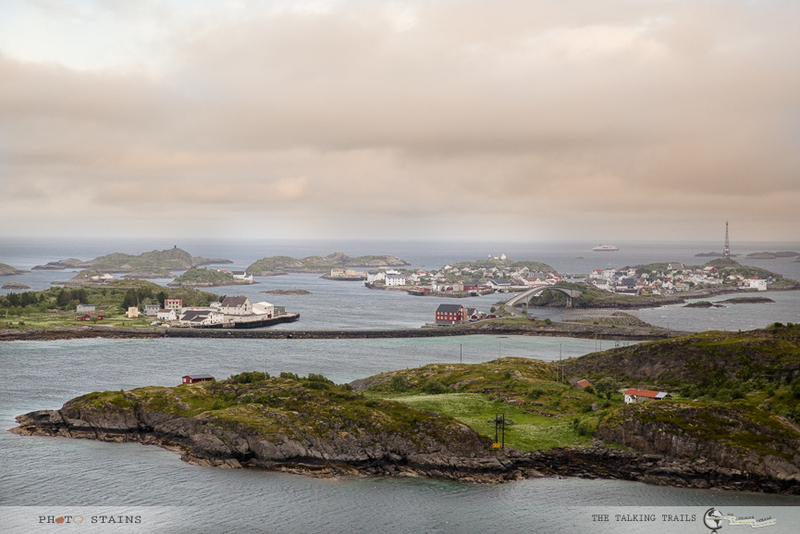 If you are going to Lofoten , the option in the dropdown you will want to select is Bodo-Moskenes. 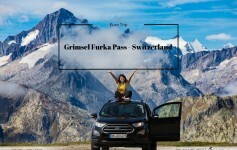 Note : If you really get late in buying tickets online and want to try your luck at the departure port , arrive atleast 2 hours before the ferry time to give yourself a fair chance. I am not kidding , I was shocked to see the line. Keep in mind that these ferries are no less than ships which even carry trucks , but they get jam-packed in minutes. 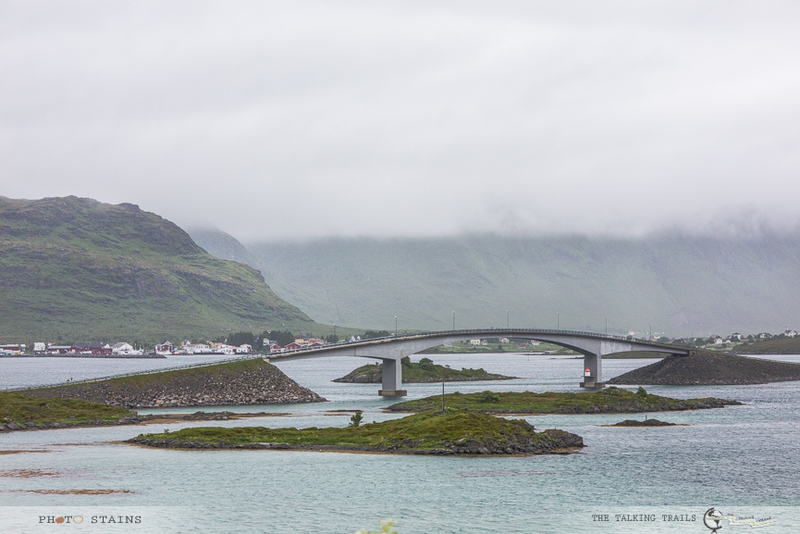 By Driving : Lofoten is connected with the mainland , thanks to highway E10. 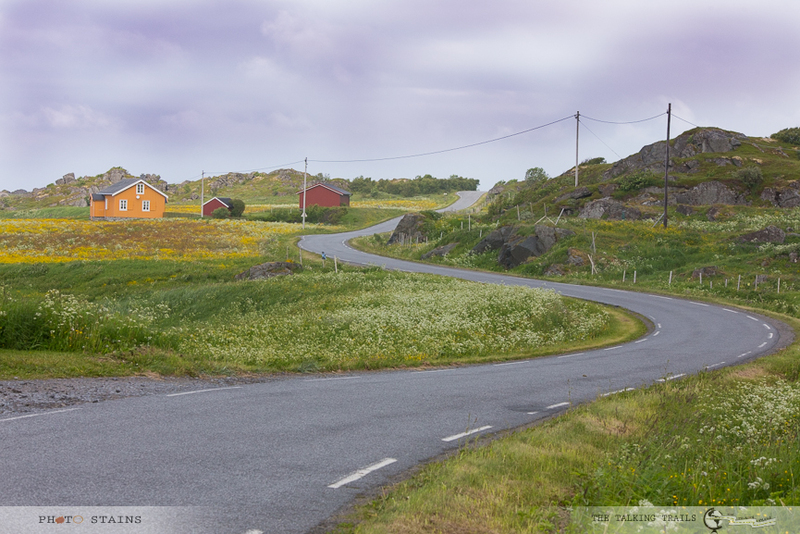 So if driving is what you like , you can really enjoy the scenic beauty of Norway while driving on E10. Just to give you a rough idea , from Tromso a non stop drive to Lofoten takes about 5 hour and 30 mins. Wild Camping is very popular in Lofoten. 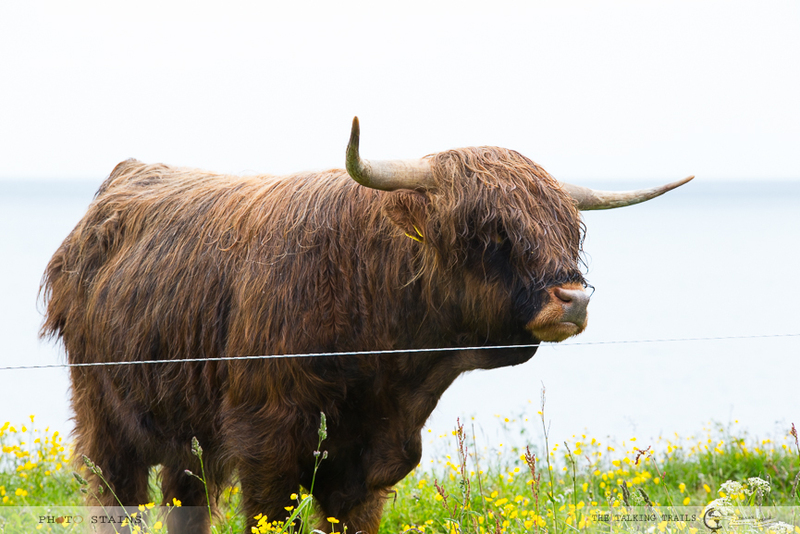 The reason is simple – Lofoten Islands, like the rest of Norway, enjoy the right of access to the countryside known as ‘Allemannsretten,’ ( Yes do not even try to pronounce ) . This basically means ‘every man’s right’ of free travel and recreation across uncultivated lands in Norway . 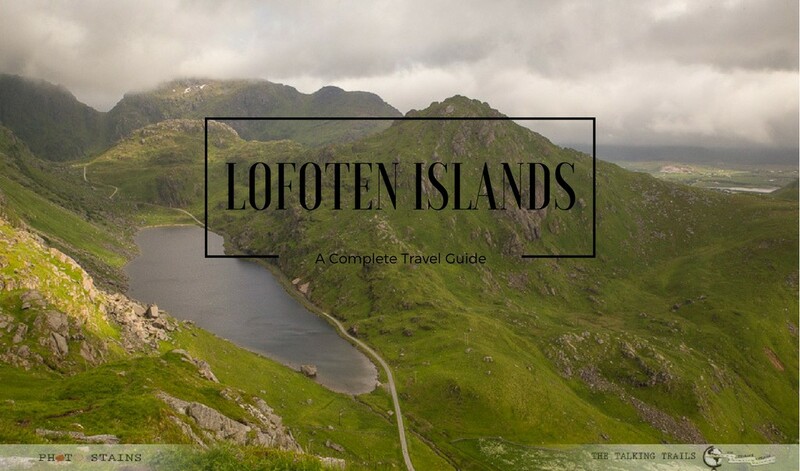 So if you are visiting Lofoten on a very tight budget and if you are an experienced hiker or camper – you can put out your tent anywhere and you will never need to pay for a night’s accommodation . Car Camping is another option for people on tight budget. I did not try car camping myself however , I could see many places available for car or camper parking. Actually , if you do not want to play with mother nature in wild camping – car or camper parking is the most economical yet very enjoyable way of exploring Lofoten. While most of the sites are free , the camping sites next to beaches have nightly fee of around 100 NOK (13 USD). Hotels and Hostels : Being neither wild camper nor Car Camper , Hostel/Hotel/Rorbu was my obvious choice . If you plan in advance and make bookings timely , you might find rooms at affordable price. Here is the list and map of hotels I stayed in. Nusfjord Rorbuer, Flakstad : If there was one thing that I was sure to experience on my trip to Lofoten was spending a night in fisherman cabin. Nusfjord is one of the oldest and best preserved fishing villages of Lofoten and the rorbuers have private bathrooms and well equipped kitchen. Not to mention that feeling of having your cabin floating on water is awesome. Cost – 202$ ( 2 people , breakfast not included). Cannot stress this more , but make your bookings in advance. If you love camping and weather adversities do not bother you much , you can save tons of money. When it comes to food , vegetarians have very limited options. I will suggest to stock up from Rema and prepare your own meals. Drinks are pretty expensive in Norway. I will suggest to buy alcohol at duty free , it will be much more economical. Lastly , you can save money by hitchhiking but I will not advice it. You will end up wasting time rather than enjoying the beautiful landscape of Lofoten. Å : Å pronounced “Aw” is the southernmost tip of Lofoten Islands where the highway E10 islands and is definitely worth spending an evening. From the port of Moskenes , this village is about 10 kms south and the charm of the village lies in the beautiful sunset . The place offers picturesque fishing huts and beautiful landscape , not to mention some very good restaurants to enjoy food with a view. Reine : If you have Lofoten as your next travel destination , its most likely that you saw the photo of Reine. 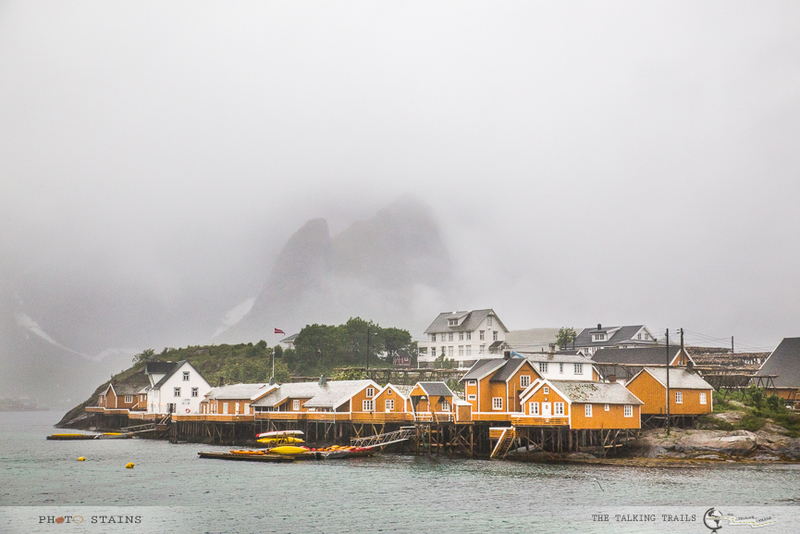 Yes it is this cute little village that is located on multiple small islands connected by arched bridges – top this with red dots in form of rorbuers and you got yourself a typical Lofoten keepsake photo. My photos do not do justice to the beauty of this place. 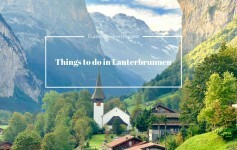 One of the most famous hikes of this area is to the top of Reinebringen . 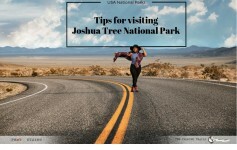 Before you attempt this hike , check with your hotel people as there have been many accidents on this hike and is not considered safe anymore – specially if it has snowed or rained. 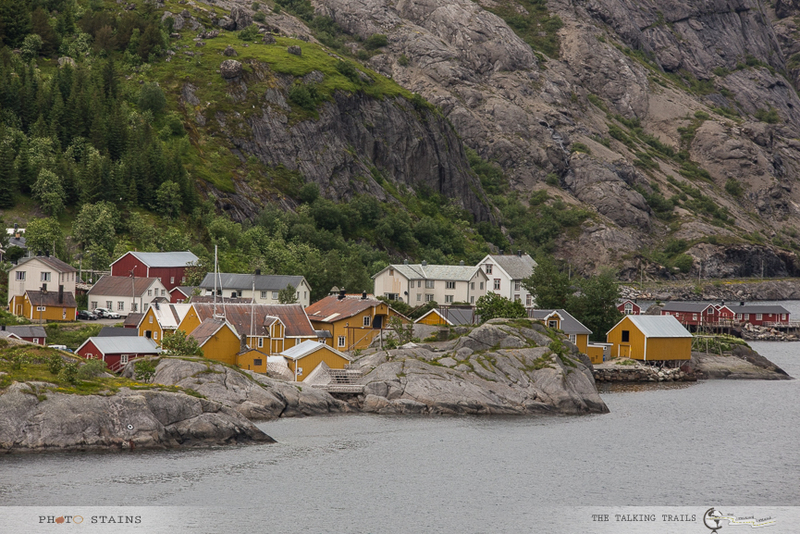 Sakrisoy : Nestled between Reine and Hamnoy , I call this place – village of yellow huts. It’s a very small fishing village that is definetly worth a quick stop . You will find lines of fish drying racks and stunning mountain cliffs in the background – definetly worth clicking. Hamnoy – Next to Sakrisoy , is the town of Hamnoy. How will you know if this is Hamnoy? Well you would have seen the photo of Hamnoy bridge in almost every article concerning Lofton Islands. 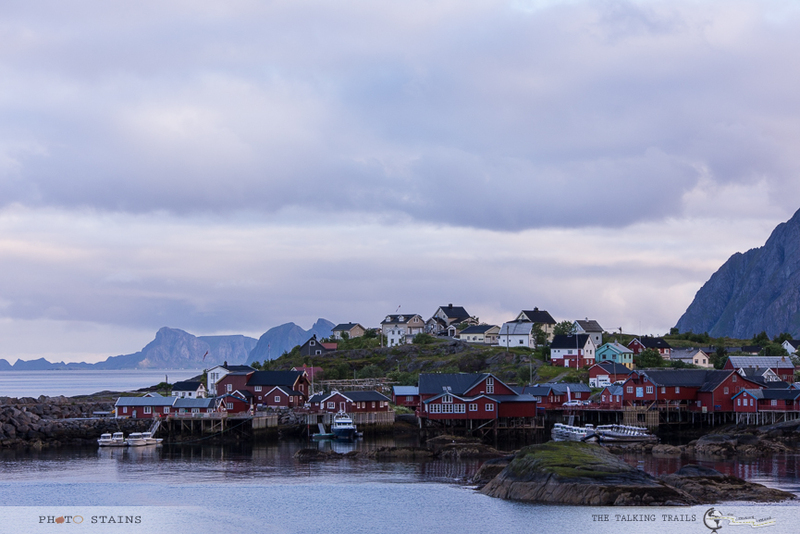 Just after crossing the Hamnoy bridge , take a detour (road Fv808 ) to village of Fredvang. You will pass by two iconic bridges , which truly marks the charm of Atlantic highway and will take you to Yttersand beach. This white sand beach will offer you different hues of blue water and has couple of hikes in the nearby mountains offering even better panoramas of the area. 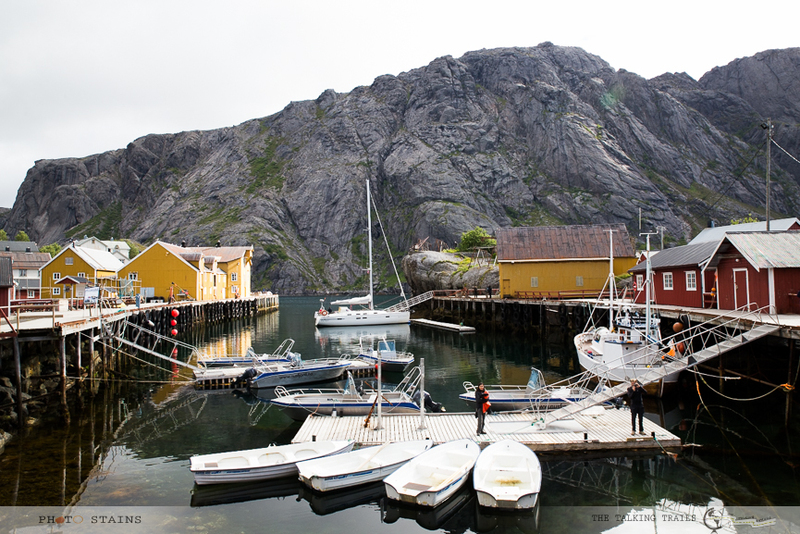 Ramberg: Situated 20 kms north of Hamnoy is the village of Ramberg. 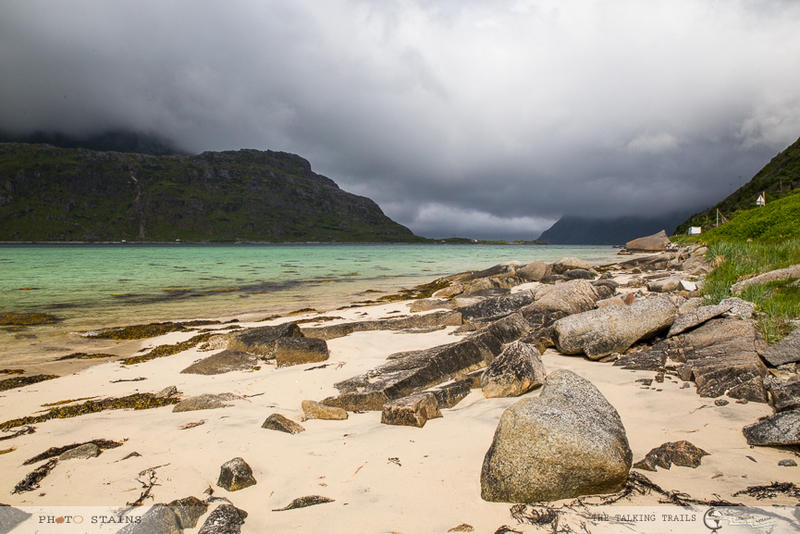 Ramberg Beach is one of the best surfing beaches of Lofoten and one of few beaches that allow camping. If you are looking for any hiking opportunities , hike to Nubben is short but very rewarding. The trail to Nubben begins across from the Bunnpris supermarket. Ramberg has some cozy cafes and a nice supermarket. Leknes: While going from south to north , the first major town that will come by, is the town of Leknes. The administrative hub of Lofoten , Leknes is one of the biggest towns where you should fuel up. It has some amazing restaurants and a big supermarket in case you want to stock up on food. Haukland + Uttakleiveien Beach: Just 15 mins drive away from Leknes are two white sand , picture perfect beaches – Haukland and Uttakleiveien. The two beaches are separated by a mountain . 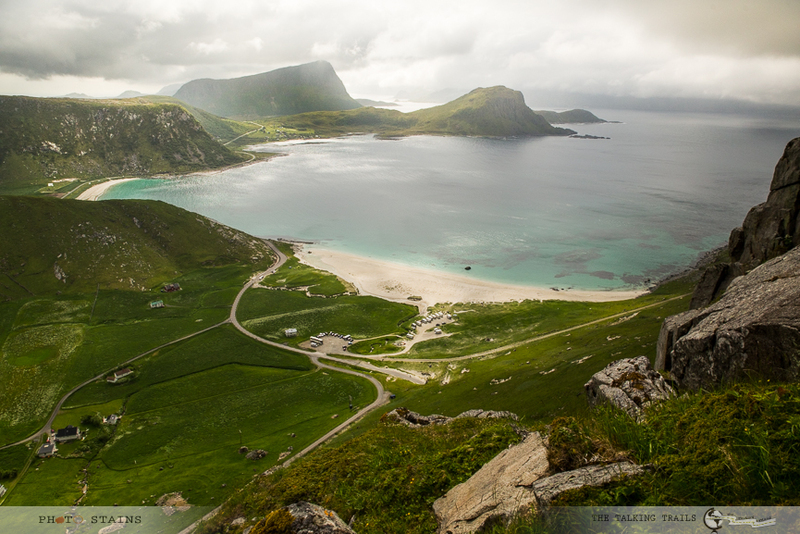 Most probably , coming from Lekenes you will first arrive at Haukland beach. Park your car in the parking area and just enjoy the beauty of the beach. 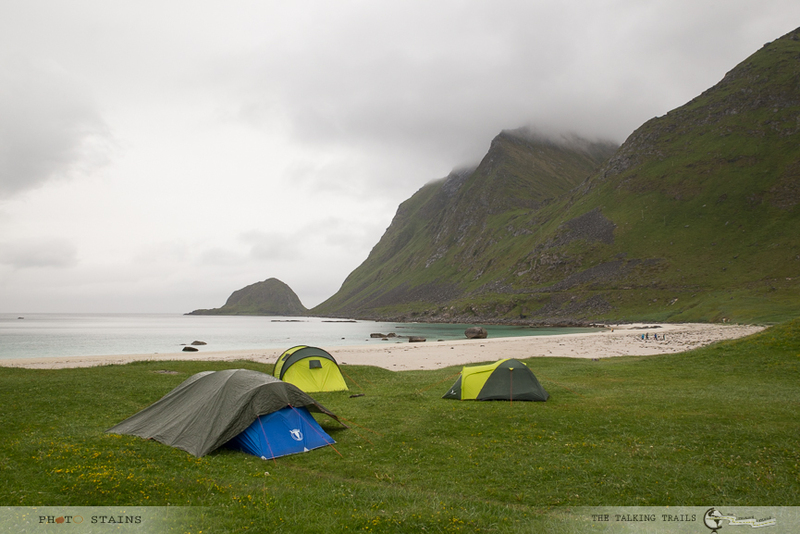 Haukland beach is also a popular camping area for hikers. From the parking lot you can either walk along the mountain for about 3 km and go to Uttakleiveien Beach or take the tunnel and drive to it. The other amazing hiking option is Mount Mannen. It will take you 1 to 1.5 hr to reach to the top but the views are stunning. Note : The hike to Mannen can be a little challenging if it has rained because trail gets really slippery. Take a check on weather before attempting this hike. Nusfjord: Oh…. I am so fond of this place I think it is to do with my obsession of staying in a fisherman cabin 😛 – which ofcourse came true at this very place. 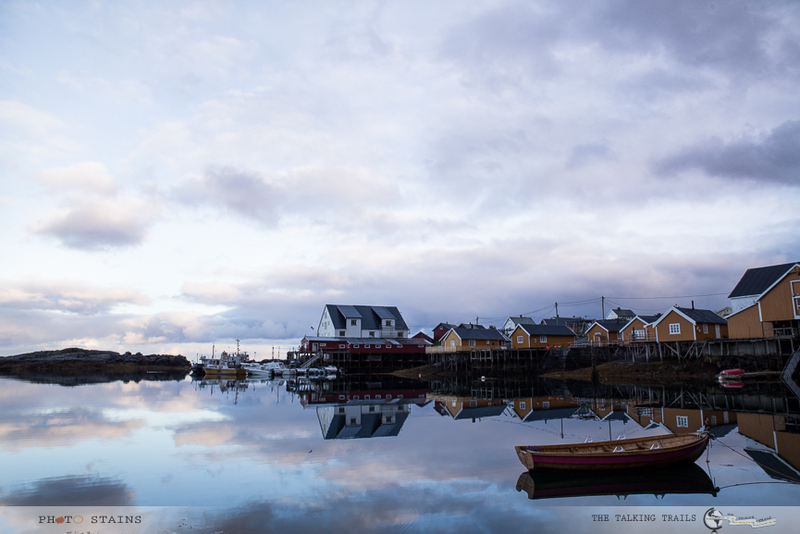 Nusfjord is a cute little fishing village that has museum , old fashioned village store , a hike to a lighthouse and a workshop of making cod liver oil. This village is situated perfectly by the sea with cliffs on the backdrop and colorful huts that make you click hundreds of photos. You can definitely spend couple of hours exploring this village. Note: Do not head to this village exploring for food options. There is only one restaurant in this village and even though the food is amazing , I will say – It is very costly. Gimsoy : One of the smallest island in Lofoten , Gimsoy is tucked in a secluded corner and has a golf course. You can enjoy horse back riding here. We wanted to explore the island but it was incredibly windy and we could barely make it to the beach 😛 . Henningsvær : Henningsvær is a small , charming fishing village located on several small islands off the southern coast of Austvågøya. The drive to this charming port town is as beautiful as the town itself. Take some time and stroll through the village. It has some amazing restaurants and cafes. 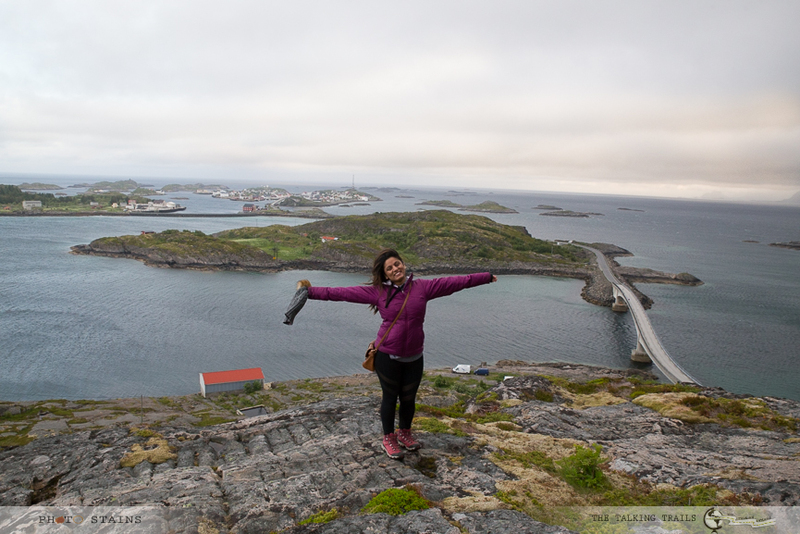 To get the aerial view of two bridges connecting the small dots of lands , hike up Mount Festvågtind . It is 2 hours trip to the top , but definetly worth giving a try. If you do not have the time to go all the way to the top , you can go to the scenic view point. It only takes 30 mins to reach to that point and you will still get fabulous pictures. Svolvaer: From historical sites to cultural attractions , Svolvaer has a lot to offer . Explore this place at your own pace as it is one of the closest cities to the mainland. You will find the most economical accommodations in this area. It has plenty of super markets , restaurants and cafes. If you plan to explore Lofoten from North to South – Svolvaer will make for a great base to stock up all essentials. 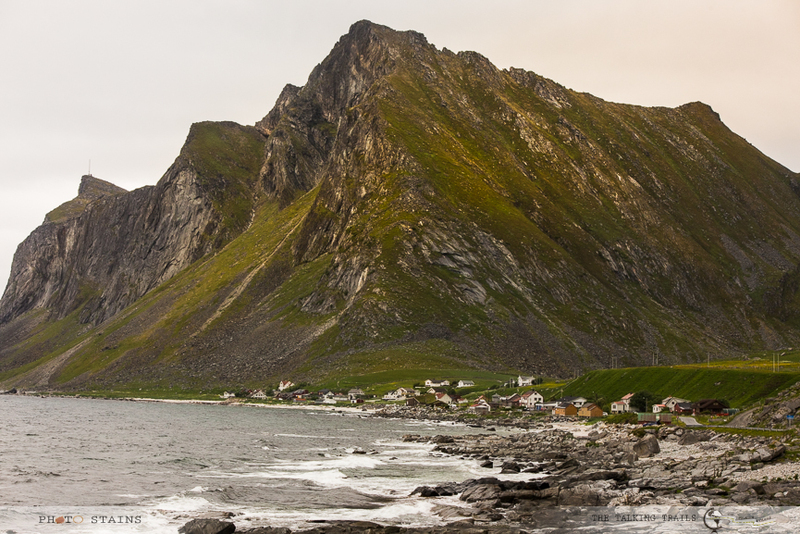 For adventure seekers , try hiking up Svolvaergeita – one of the most popular hikes of the area. 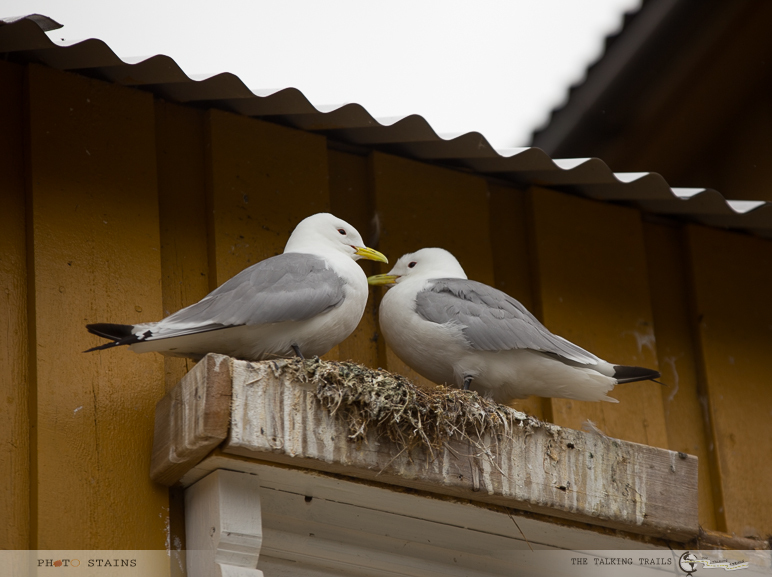 Did I convince you to go to Lofoten? When are you planning to go?